Use the move as an opportunity to have a good clear out. Go through every room and make piles of items to keep, items to sell and items to give to charity. Go through old papers and shred or put for recycling, anything that is junk mail or outdated. Take digital photos showing the condition of all valuable or big items. Be careful to show any exisiting damage or scratches etc. This will help in case there is any damage during the move and for insurance purposes. Dissassemble any large items of furniture and be sure to put all screws and fittings in sealable well labelled bags. Label up all boxes on all four sides - and create a colour coded label scheme for each room. Clearly mark each box with a 'This Side Up' arrow on all four sides. Label all wires, plugs and cords on any electrical equipment that is going to be disconnected. This will ensure connection at your new destination is easier! Make some bright red 'Fragile' labels for boxes which will contain any breakables. Set aside a kit of items that will be needed to clean the old house once it has been emptied. Get rid of all perishables from the fridge and defrost the freezer. Pack an essential box of items you will need in the first night in your new home - ie kettle, pans, cleaning supplies. Also pack an overnight bag of clothes and toiletries for each member of your house. Pack one room at a time - start at the top of the house in the loft and work down. Ensure you use the correct colour coded box for each room, all boxes are fully labelled, and that they are all kept together. Clean items as you pack. This will save time as you are unpacking at the other end. Pack important documents together - ie birth certificates, marriage certificate, passports. Note which box these have been put in. Put all hazardous items ie paint, bleach, aerosols in one box and keep away from other items. Pack heavy items in smaller boxes, and always put heavy items at the bottom of the box. Wrap all items individually in layers of newspaper, and bubble wrap if required. Wrap all fragile items in bubble wrap. Fill boxes with packing material, and ensure that once packed no items are able to slide or move around in the box. Add more packing material as required. Place a layer of packing material on the top of the box to ensure when it is sliced opened at the other end, nothing gets damaged. Use sealable plastic bags for all liquids and potions. Keep clothes and bedding clean by placing inside bin liners before putting inside boxes. Make sure the bin liners are fully labelled so they do not get mistaken for rubbish. Towels and bedding can also be used as extra padding material. Just dont forget if you have put fragile items between them. Before leaving the old house, open every door, cabinet and drawer and check inside. Put up colour coded labels on the doors of each room, which correspond to the colour coding on the boxes. Then make sure all boxes get put in the right area. Once a box is unpacked, remove it, as this will reduce the space taken up. 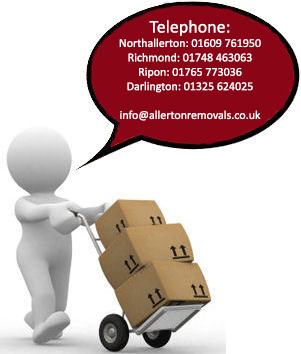 Contact us now to discuss all your furniture removal or storage requirements. With every move there is so much to remember. 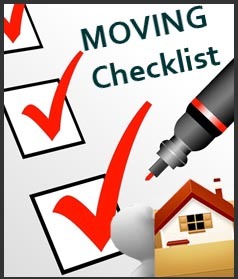 Download our free <MOVING Checklist> for help.